The concept of refactoring is a process of making changes to the small parts of the application to make improvement to the code and to enhance its architecture without making any changes to its functionality. 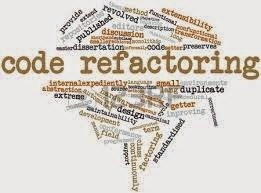 Let us look in to some of the reasons for refactoring . Improved readability and maintainability: After deploying an application in to production, the project budget shrinks as its maintenance phase starts. And hence only limited developers are deployed for looking into the source code on a regular basis. Having proper guidelines to the source code makes it easily readable to improve its maintainability as it reduces the time spent on relearning the code and thus saves time and money. Some public facing web applications need some sort of attention to be paid in the improvement of its performance. re-engineering software development is all about altering the code without changing its originality it would be advisable to remove certain features that cause performance problems that pop up during its deployment in to the production environment. Program structural refactoring to achieve a better program structure. Code cleanup refactoring for the removal of unused code and classes. Code standard refactoring to achieve a quality code for the software solution. User interface refactoring which includes changes to the UI technology without affecting the functionality. Data base clean up refactoring which includes cleaning of redundant data without making any changes to the data architecture. Architecture refactoring which is modularization of the application. 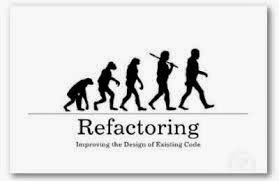 Following are some of the key benefits of code refactoring. It improves the extensibility of the software solution. It reduces the cost of maintenance of the code. It provides a standardized structure to the code. It provides more readable and modular code. It increases the potential reusability.